In many cases, account managers will want to delegate work to different members of the team. 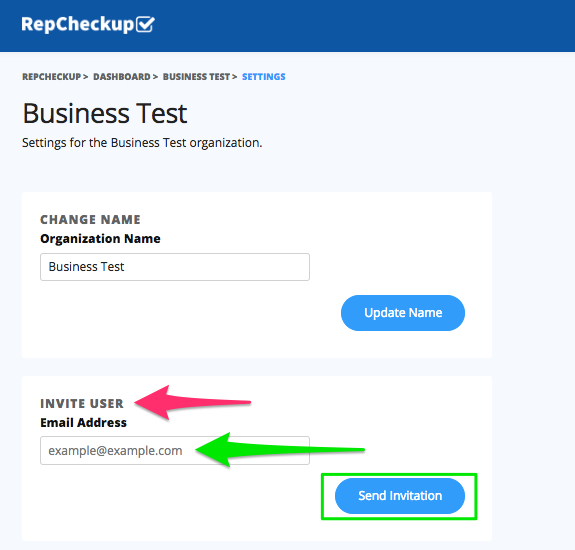 It’s for this reason that RepCheckup allows users to “invite” other users to specific organizations. By inviting a user to an organization, they will be able to access, monitor, and respond to reviews left on every location for that specific organization.